A humble soldier wakes in hospital with no recollection of his past. The fleeting fragments of memory he glimpses are horrifying moments from the battlefield at Ypres. His very identity becomes a puzzle he must solve. 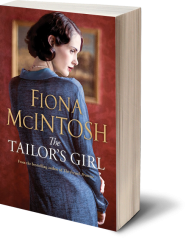 Then Eden Valentine comes gliding into his world, a stunning seamstress who dreams of her own business on Savile Row. Her career plans certainly hadn’t included a disarming man in desperate need of her help. Surrounding the mystery is Alex Wynter, the influential heir to country manor Larksfell Hall. With his aristocratic family still reeling from a recent tragedy, he brings news that will further rock the foundations of their privileged lives. When their three very different worlds collide, the pieces of the past finally fall into place and lead them into wildly unexpected futures. What they discover will bring shattering consequences that threaten to tear apart far more than just the heart of the tailor’s girl. 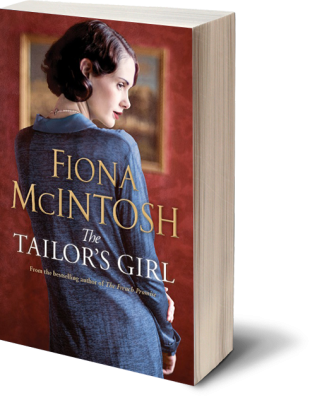 From the bustling streets of postwar London to the idyllic English downs, this is a breathtaking story of passion and persistence about how true love can overcome incredible odds, even in the most extraordinary circumstances. I didn't want this book to end because I enjoyed visualising it, I was there with the characters, I was in their world (London at the end of WWI) and when I finished the book I desperately wished this book could be made into a movie because it would look superb played out on the screen! I loved the romance between Tom and Eden. The reader can't help but fall in love with both of them. Click here For the full review. Rachael McDiarmid, James Bennett Library Services provider.